Writing procedures can be much more difficult than you’d think. We see procedures everywhere, so it’s natural to think that we should be able to write one without too much trouble. For that reason, I wanted to take you through some terrible real-life procedures. This is at least partly so we can all have a chuckle at other peoples’ mistakes, and feel a little bit better about ourselves. But it’s also because it’s a lot easier to find examples of bad procedures than good ones. With that end in mind, I went through my junk drawer, and pulled out one or two manuals that I had lying around, and I’m going to use them as examples of what not to do as we go along. The first thing you need to look at is whether you’re documenting a process or a procedure. It’s easy to use these terms interchangeably, but they actually mean different things. The main thing to remember is that a process can contain many procedures. A process gives an overview of tasks: you might need to install the package, configure the package, and then use the package. Overall, that’s a process. Each of those things, though, is a procedure. Procedures are instructions for doing something. Here’s an example of a certain hand-held computer game. As you can see, the instructions for using the stylus are … step 5? Every procedure in this book is numbered. What’s happened here is each procedure in a process has been numbered, rather than each step in a procedure. These ones should all be bullets. You don’t need to operate the product from a power source before you remove the unit from the packaging. Let’s try this one together: Most of these ones should be numbered, the text even tells us that. The ones on the left under “Cutting Tips” are bullets, the order isn’t important, it’s a list of tips. What about at the top under “Starting and Stopping the Trimmer”? This one probably doesn’t matter, I’d be inclined to use numbers, though, mostly because you can’t stop the trimmer unless you’ve already started it. And just another one, because it’s so easy: The bullets in red are fine, but then we go to numbers in the purple, and then for a little variety we throw in some upper-case letters in green. Bullets would have been for all of these. So the next thing to worry about is whether you’re describing a concept or a task. A concept is a description, it answers the question “What do I need to know?”. A task is an action, it answers the question “What do I need to do?”. As writers, it’s much easier for us to think about things rather than tasks. Users think about tasks, though, not things. Remember the old adage about not needing a drill, but a hole? That’s the essence of this point. This one just has so much wrong with it it’s hard to know where to start. Considering we’re talking about concepts and tasks though, let’s start with pulling those out. I’ve marked the concepts in blue, and the tasks in purple. To add insult to injury, we also have numbers where we should have bullets (in red), because this really is such a hodge-podge of information that there’s no way the order is important. Just to round things off, we also have a typo, and a vaguely insulting term about our children (in yellow). This certainly isn’t the worst example I could have picked, but it’s interesting all the same: a few of the steps here go into detail about some extra function that your product may or may not have (in yellow), while others are as simple as “open the velcro strap” (in blue). We also have process/procedure issues here, with procedures being numbers in order, and steps getting lowercase letters (in red). This is just confused by the photo references typed in red, and both angle brackets *and* square brackets being used. We also have a few stray bullets in one step. And having said all that, I’ll remind you that this is for a pair of boots. Admittedly, slightly more complicated boots than you’re wearing today, probably, but they’re just boots in the end. Also, I’m more than a little disturbed about the idea of “closure and locking of the foot” (in green). Everyone knows what anthropomorphism is, right? Someone like to explain it? Yep, it’s applying human qualities to non-human things or animals. We do this a lot, especially to animals, but we also tend to do it to computers a lot. I went online to find these ones, since I didn’t have any good examples in my stack of manuals. It seems to be something we do almost exclusively to computers rather than appliances, but we *really* do it a lot. I’ll give you a pro tip: computers don’t actually *think*. They might display things, they might take a while to process commands, but they definitely do not think. Which brings me to one of my favourite words, and it should be one of your favourites too: parallelism. When you’re writing fiction, you don’t want every paragraph or sentence to start with “Then”. When you’re writing procedures, though, it’s a good thing to have each step start with “click” or “type” or something like that. When you mix it up, it might sound more interesting, but it just becomes confusing. When faced with two statements that seem to be saying different things, users often think you want them to be doing something different. Every step should start with an action, and the same action should use the same verb. Use “click” for a mouse click, “type” for typing on the keyboard, “press” for a hardware button, etc. This manual almost gets it completely right. Three procedures here all need to start with the same three steps. But in one procedure, they write it using different terms. Is “tilting the motor head back” a different action to “raising the motor head”? Mouse or keyboard, GUI or CLI? Stick to it! I’ve also created a handout with these for you to print and hang up somewhere, which you can download here. This article was originally given as a public tech talk at Red Hat Brisbane, in September 2012. Categories: Speaking, Tech Writing, Writing | Tags: documentation, plain language, Speaking, tech writing, user-focused design, writing | Permalink. At Red Hat, we have a content services department that is about sixty people strong. Even though the department is pretty big these days, back when I started with the company, we were still trying to work out the best way to run a successful enterprise-level documentation team. What that means is that I have been involved in some of the big discussions that we have had over time about what processes we needed to get in place in order to allow us to produce the massive amounts of documentation we required as our product offerings grew. As a department, we grew very big, very fast, and our processes needed to be flexible enough to accommodate the large number of new hires we had, and still have, coming in, but robust enough to be valuable and reliable. They also need to fit in well with the engineering practices in place in the company, and the tools that our development teams use and are familiar with. Of course the other really important factor was that we had to be open. We wanted to use completely open tools to produce our docs, but we also needed to be able to work with community teams, such as the Fedora group. Like many documentation groups, at Red Hat we use a five-phase waterfall model to produce documentation. It’s based on the ever-popular JoAnn Hackos method: starting with planning, the content specification, then writing and editing, translation and production, and then a retrospective review. At Red Hat at the moment we’re at a place where our development teams are increasingly using Agile-style development models to produce software, and that means the pressure has been on us to develop in a less rigid way than the old waterfall model has been allowing us to do. Also, it’s no secret that the online world is changing, and people now expect to be able to interact with information at a much deeper level than ever before. They don’t want to be presented with static, hard-copy books any more. They want dynamic, interactive, usable, and above all useful documentation. In order to be able to work out what kind of model we needed to use, we needed to go back to basics. All technology is about solving problems. Back when we were sitting around in caves, we had a problem: there was all this food running around outside, but we didn’t have a way to get it to stop running around, so we invented a club and solved the problem. Since then, we’ve used technology to solve all sorts of problems: horses were sometimes problematic to control, and they didn’t go very fast, so we invented cars. The hard wheels used on early cars weren’t very comfortable, and when they broke they really broke, so we invented pneumatic tyres. We also had problems being able to see in the dark so we invented electric light, being able to go to the toilet when it was raining or cold so we invented indoor plumbing, being able to send messages to people on the other side of the country so we invented the telephone, or on the other side of the world so we invented email. Even these really technological things that we find ourselves documenting now, are all solutions to problems. One of the first things you need to be aware of when you’re writing documentation is what problem your users have. If you can’t describe the problem in one or two sentences, then you don’t understand it well enough, and you need to keep researching. Because if you keep going, all you’re going to end up with is hollow marketing spin. That’s how we end up with documentation that talks about “leveraging synergies”: words that sound great, but have no meaning. So we’ve more or less said that DITA is where we need to go next. But we didn’t want to completely restructure the tools we were using. We have a fairly large people investment in our tools. The main tool we use is Publican, which was developed by an engineer in our Brisbane office. It uses Docbook XML and gives us a command line interface that we can use to create new blank books, apply corporate formatting, and it integrates into our internal packaging system so we can create all these different formats for our books – HTML, PDF, and ePUB on the website, and we can also create RPM packages and man pages to package in with software. We combine Publican with SVN to give us a complete CMS, in short. We looked at DITA and DITA-OT, the DITA Open Toolkit. We realized two things: first of all, it would take a significant amount of work for us to bring an open DITA toolchain to the level of maturity and system integration of our existing Docbook toolchain. Secondly, we wouldn’t get the really significant benefits of topic-based authoring without a Component Content Management System – a CMS that manages content at a very granular level. Putting those two things together made it clear that if we changed to DITA all in one hit, it would take us significant time and energy just to get back to where we already were with a mature open source complete tool chain. So we decided to take an evolutionary, rather than revolutionary approach. It’s a much more open source approach: to re-purpose something that you already have, add a script here, a small command-line tool there, release early, release often, and let the user community guide the development, rather than trying to design and implement some grand system in a distant (and expensive) future. What we needed was something that worked in a similar manner to DITA, gave us content re-use and all that good stuff, but that would work with our existing Docbook XML and Publican tools. The first thing we did was to start creating topics in Docbook, using Docbook syntax, and a command line tool that we called the “Topic Tool”. This was a really simple command line tool that allowed us to write XML snippets (or ‘topics’), and save them in SVN. We used an extensible template model, where the topic tool retrieves a Docbook template from a central repository to match the topic type you specify. That way we can create new topic types, and even modify the Docbook syntax of existing topic types, without changing the tool on users’ machines. That was an important decision, and a major part of the evolutionary “Release, Review, Refine” approach we wanted to use. Over time we did change the Docbook syntax of the basic topic types and create new topic types, validating the open source maxim “plan to throw the first one away”. The basic workflow with the Topic Tool is like this: you tell the tool which topic type you want, and it will then download the template and prefill some information for you. You can then edit the topic in a text editor, and import it back into the repository. It’s then possible to view your topic from the repo directly, which means anyone can now see it and use it. We then include those snippets into any book you want using an xi:include, build the book as normal with Publican, and voila! we have a book with content reuse. So that was pretty awesome, and if you read any of our Virtualisation documentation you’ll probably not know it, but that’s all based on topics and maintained using the topic tool. Of course, once we got to about 300 topics in the topic tool, we started to notice that we have another problem, we were having trouble locating topics within the repository. This made us realise that what we needed was a better way to organise it all, so we wrapped a neat interface around Topic Tool using Open Grok. OpenGrok is designed for software engineers to search source code repositories, so it worked well for what we were trying to do. This is where the open source ecosystem came into its own all over again – there are a million off-the-shelf components and projects that you can choose from to build your own system. In the end we had a web-based search tool that was pretty basic, but did the job. Content reuse is an obvious application of topic-based authoring, but by this stage, we’d started to realise something even more exciting. Our definition of a topic is a unit of information with a single subject – that means that it talks about one thing, and one thing only – and that has a single information role: that is, it’s a concept, a task, or a reference. If we gave three topics – a concept, a task, and a reference – to a robot, along with a rule describing the “explain, answer, extra info” pattern, and some kind of graphical template, that robot can assemble those topics into meaningful and useful output for an end user. What we wanted to do was to automate this process. When humans assemble content into a book, they are making decisions. What aspects of the information are their decisions based on, and what rules are they consciously or unconsciously using? That was what we wanted to create: A system that would allow us to store metadata about a topic, and use rules to automate assembly on a scale that we just couldn’t do by hand-coding. So we developed a system that we call Skynet, which allows us to dynamically sort and locate topics. Select the topics you want, and Skynet will download the code that presents those topics in a consumable way. Of course, we started dreaming big after all this. We’ve started thinking about moving away from the documentation-as-a-book paradigm, and started considering “Documentation 2.0”. Why not include comment fields on our documentation, that will allow our reviewers – quality engineers, subject matter experts, editors, and the like to make comments directly in the book rather than creating a separate list? And why not offer that functionality to our users as well? What if we had the equivalent of a Facebook ‘like’ button? Users could ‘like’ sections that they found useful, or leave comments saying “when I tried to follow these instructions, X happened” or “this seems to be missing a step” or the like. If we break away from the book model, we start to be able to think about documentation as something that our users can interac with. We could have popular topics bubble up to the top of a list, or divide books into audiences, and present the information for each audience differently, giving them a tab to click to see the information in various ways. We could implement something similar to the Amazon “customers who bought this also bought this” and present similar topics to our readers. Using single-sourced content, and content reuse, through a system like Skynet, is going to allow us to move into these more innovative delivery methods. The team working on the Skynet project have 110% discoverability as one of their goals, to quote the team leader: “the documentation finds you”. In other words, when you’re working on something, and you get stuck, the documentation is there at a click or a glance, ready for you to interact with it. Of course, I’m sure some of you are saying “Help” right now, and yes, I agree with you. That is something else we’re talking about, and something that Skynet will enable us to do. Skynet pushes out XML now, and of course there’s plenty we can do with that as it is, but we can also extend it to push out all manner of things, including Mallard for Gnome Help. So let’s take this conversation back to processes. All this dreaming is fantastic, but at some point we still have to actually do the hard work. Without a solid process, and a great set of standards, we’re not going to be able to get there. We’re doing a lot of internal testing, and we’re dipping our toes in the water with the topic tool and with Skynet. So far, we’ve been able to slip these in to our existing standards, but that’s not going to last for long. With a paradigm shift as big as this, everything is going to have to change, and that includes the way we go about producing our documentation. We need to be organised, we need to make sure what we do is repeatable, and we need to maintain our high standards of quality and accuracy in our documentation. Most of all, though, we need to maintain and even increase our focus on the customer. These changes come about not because we got bored with doing things the old way, but because we believe it’s a better way to serve our audience. Never, ever forget who you’re writing for, it’s those poor sods out there with their problems that they’re trying to solve. Our goal is to give them the tools they need to solve them. One of the main things that we have learned is that process is king. If you don’t have a solid process for producing documentation, then you’re going to find yourself floundering at every point along the way. You’re going to end up with documentation that doesn’t cover what it needs to cover, isn’t accurate or well-written, and doesn’t get out on time. Without a plan for how you’re going to tackle the project from end to end, then you’re not going to succeed. It’s that simple. The second thing is about tools. You need to decide ahead of time what tools you are going to need during the project, and make sure you have them ready and up and running before you start. It’s horrible to get halfway through writing and find out that one of your writers doesn’t understand how to use a semi-colon. It’s even worse if you get halfway through and realise that one of your writers doesn’t understand Docbook XML, or whatever authoring tool you’re using. While we’re talking about tools, it’s important to keep it open everywhere you can. This can seem counter-intuitive to those of you who have worked in big companies, but being open doesn’t mean giving away business secrets, or exposing your competitive advantage. I think Red Hat of all companies really proves that the openness can co-exist with secure business practices. Part of keeping it open is about keeping it real. The people behind your processes, the people doing the actual work day in and day out: they’re real people. They’re real people, with real lives, and real families. You need to be able to work with people, and ensure that the loss of one person isn’t going to make the whole project tumble. The other thing you need to remember is that your readers are real people as well, you need to make sure that you’re giving your readers something useful, and something that they will get value out of. And finally, I want to remind you about reviews. We all understand the importance of reviewing our writing for correctness, and reviewing our projects to make sure we can learn from our mistakes. You need to extend reviews to the documentation process itself, as well. Never be afraid to change things around. Just because it worked last time doesn’t mean it’s going to work next time. And just because it’s worked in the past, doesn’t mean it’s the best way to do it in the future. This post was originally a talk given at the Open Help Conference in Cincinnati Ohio, on 5 June 2011. Categories: Conferences, Open Source, Speaking, Tech Writing, Writing | Tags: conferences, documentation, five phase model, open source, process, Speaking, tech writing, user-focused design, writing | Permalink. Everyone has heard the old adage about the “KISS Principle: Keep It Simple, Stupid”. Easy to say, easy to remember, but often hard to do. At least, hard to do well. When we simplify our language, it often comes across as patronising, dumbed-down, or just plain rude. So how should Stupid keep it simple, without making it stupidly simple? Well, it’s simpler. We’ve lost some of the more easily-confused terms such as “writable media” and”optical disk drive”, replacing them with more common and regular words. We’ve given more specific instructions about the actual process of performing the task, which can help with understanding, and also give users more information about troubleshooting. This would be great for a manual that is introducing people to computers for the first time. But what if I were to tell you that this instruction is to go into a Developer’s Guide, that is, a book read and used by software developers? All of a sudden, the new version of this sentence has become horribly patronising. It is safe to assume that a software developer has opened a disk drawer once or twice before, and probably doesn’t need to be given explicit instructions about where to find the button. They probably also understand the terms “writable media” and “optical disk drive”. So we’re back to where we started from. How do we simplify the sentence for this audience without speaking down to the audience? So there’s your answer. It’s not patronising, it’s not too complicated. It uses terms that everyone is familiar with, and isn’t couched in lengthy words and stuffy language. It gives all the information the user needs, and isn’t drowning in information we can safely assume they already know. The problem, of course, is that keeping it simple is not always simple. Corporate language is increasingly creeping into the everyday. Keeping it out of technical documentation is becoming increasingly difficult. Of course, if the product you are documenting is called a “Synergy Manipulation Process Leveraging Suite” there’s not much you can do about that. You can, however, ensure that you give information about the product in plain language. Explain what it does (other than leverage synergies! ), explain how to use it. Try standing up and reading your text out loud. Try explaining the processes and concepts to a friend and take note of the language you use. Look at each individual word and think “is there a simpler word that I can use here?”. Keep your sentences short and to the point. Avoid repetition unless it is absolutely necessary. Just yesterday, to give a real-world example, I saw a blog-post titled “Marketing Leaders Should Help Create the Next Generation of Australian Multi-Channel Retail”. Now, I don’t even know what that means (and surely it needs another noun on the end … “retail what“?). I clicked on the link, and read the first sentence, trying to work out if it was something I might be interested in, and saw whole sentences full of nothing but corporate-speak. Needless to say, I didn’t read any more. And therein lies a valuable lesson – write for your audience, but never write for the sake of putting words on paper. Even if your audience is a group of corporate-types in suits, who live and breathe corporate-speak, don’t write an empty document, filled with empty words. Make sure you have something to say, and then say it as simply and as accurately as possible. Categories: Tech Writing | Tags: documentation, plain language, process, tech writing, user-focused design | Permalink. I was privileged enough to be able to attend linux.conf.au in Wellington in January. While there, I caught Bob Edwards’ and Andrew Tridgell’s talk on “Teaching FOSS at Universities” (video of which can be found here). It intrigued me. Open source software development is very different to developing software in a more traditional, closed source environment. The aim of the course is to teach students how to go about working within the open source community. It covers the practical aspects of checking out code from a repository, submitting patches, and undergoing code approvals and reviews. It also looks at some of the less tangible aspects, like what’s accepted and expected within the community, the motivation behind project development, and governance. The course also goes into some detail about documentation. Documentation for open source projects is not quite the known quantity that it can be in many proprietary software environments. I once had a developer I was working with describe it as “we live in the Wild West out here”, and – at least to an extent – he makes a good point. While writing for an open source project may not be as wild and exciting as that sentence makes it sound, it can sometimes be unpredictable and, at times, incredibly frustrating. Frequently, a book has been written and reviewed in preparation for a release, only to find at the last minute that a feature has been pulled from the version, a component has suddenly been renamed, or the graphical interface has had some kind of redesign. All of these things happen to open source writers on a regular basis, and frequently the only solution is to pull an all-nighter, get the changes in, and have the document released on schedule. And that’s only if you were lucky enough to find out about the change with enough time to spare before release! So how does a writer plan for and write a documentation suite when there’s so much unknown in a project? The answer is – perhaps ironically – to plan ahead. You can’t plan for every contingency, nor should you. But if you have a plan of any description, you’re going to be better off when things start to go wrong. Pin down the details as best you can as far ahead as possible. But don’t leave it there, continue to review and adapt your plan. Keep your ear to the ground, and constantly tweak your schedule and your book to suit. If something comes up in a mailing list about a feature you’ve never heard of, don’t be afraid to ask the question – “Does this need to be documented? Will it be in the next version? Where can I get more source information?”. Another trick is to make sure you build in ‘wiggle room’ to your schedule, in case you suddenly discover a new chapter that needs adding, or a whole section that needs to be changed. If you’re consistently a few days or a week ahead of schedule, then even a substantial change should not throw you too far off balance. 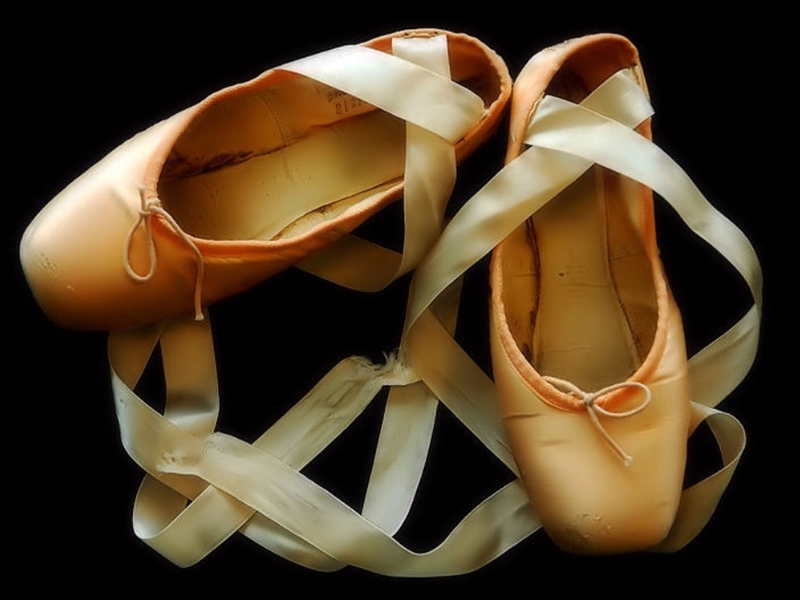 Just like a ballet dancer, technical writers need to be disciplined, structured, and organised. But you also need to have grace, poise, tact, and – most importantly – flexibility. Thanks to Bob and Tridge, I’ll be lecturing the 2010 FOSS course students at the Australian National University later this week. I’ll also be contributing the textbook that is being developed for the course. True to form, it is being built by and for the open source community, using open source tools (including Publican which has been developed in-house by some of my esteemed colleagues). Watch this space for more information. Categories: Open Source, Tech Writing | Tags: documentation, open source, tech writing, user-focused design | Permalink. Writing a book is an adventure. To begin with it is a toy and amusement. Then it becomes a mistress, then it becomes a master, then it becomes a tyrant. The last phase is that just as you are about to be reconciled to your servitude, you kill the monster and fling him out to the public. Step 1: Planning – who is the audience? What are the book’s goals? Step 2: Content – what are the chapters about? Where will you get the information? Step 4: Internationalisation/Localisation – will the book be translated? Into what languages? Step 5: Review – what worked? What didn’t? How will the book be maintained? This is a very distilled version of JoAnn Hackos’ method. It all seems very easy doesn’t it? It’s a fairly logical progression through the steps. Writing in general is often considered an art, a talent (you either have it or you don’t), a skill, and somewhat mysterious and unique to a small portion of the population. In fact, writing is something that many people can do, and a lot of people can do well. Where it gets difficult is the same place as where any task worth doing gets difficult – sticking with it. Writing is not something you can start on Monday, and have a completed book by lunchtime on Thursday. This goes for technical writing as much as any other style, and it’s where the apparent ‘magic’ comes in. Some people have the ability to sit in a small room on their own for weeks at a time, taking and distilling technical minutae by day, and sipping absinthe by night until – like a miracle – they give birth to a brand new shiny technical manual. And some people … well, some people just don’t. Which is not terrifically surprising, on the face of it. The idea of writing a book is romanticised in our culture. Everyone ‘has a book in them’; we’re all trying to write the ‘great American/Australian/British/$NATIONALITY novel’; one day, I’ll ‘be the next Hemingway/Dickens/Crichton/$AUTHOR’. How many people have started on the path, only to find – days, weeks, months, or years later – that it has been consigned to the desk drawer, and forgotten? This all leads us to believe, however subliminally, that writing a book is hard. It takes a long time, it is terrifically difficult, and only a bare few make it out the other side. It makes us feel better about the unfinished manuscript in the bottom drawer. Which leads us to realise why so many versions of the writing ‘process’ exists. If you google for it, you will be spoiled for choice in the methods available. It’s a way of breaking down the mammoth task of creating a book into small, manageable, easy-to-chew lumps. Somehow, five (or six, or seven, depending on the method you choose) small steps aren’t half as scary to tackle as one big one: “Write a book”. When it comes to technical writing, though, the process has more purpose. Technical documents are very rarely produced in isolation. The book could be part of a suite of documents for one product – the Installation Guide, the User Guide, the Reference Guide; it could be a guide for a product that forms part of a complete solution – the front-end tool, the back-end database, and the libraries; it could simply be a book produced by a large technical company that produces a large range of products. Whatever other books or products compliment the work in progress, there needs to be a consistent approach, a ‘look and feel’ that creates a brand around the product. By following a standard process for each and every book written, that brand is more easily created and maintained, even by many authors, all working on individual projects, and in their own unique ways – absinthe or no absinthe. Categories: Tech Writing | Tags: documentation, five phase model, process, tech writing, user-focused design, writing | Permalink.